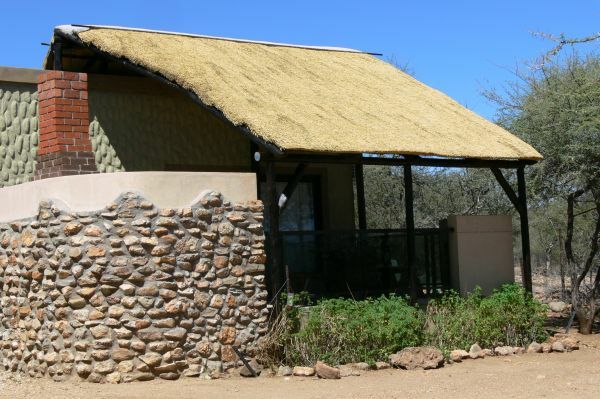 Ombo Rest Camp offers 2 luxury Family bungalows, a 2 bed bungalow and a double bed bungalow, all fully equipped for self-catering and including air-conditioning and a safe parking area in front of each bungalow. 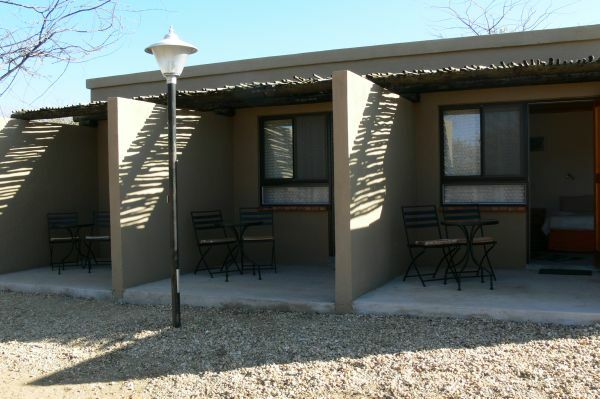 We also have 3 Backpacker rooms, each with two single beds and the bathroom facilities on the camping grounds may be used. 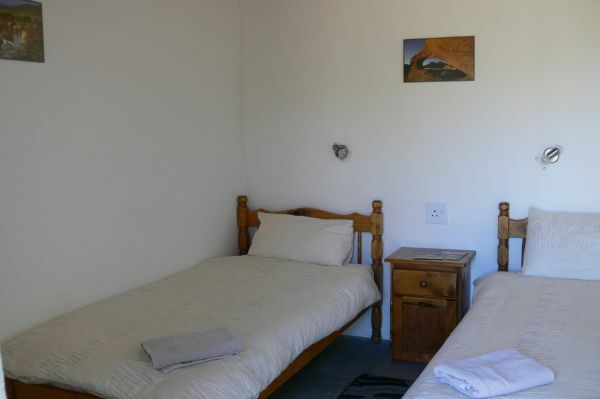 The Backpacker rooms do not have linen, but this can be arranged on arrival. 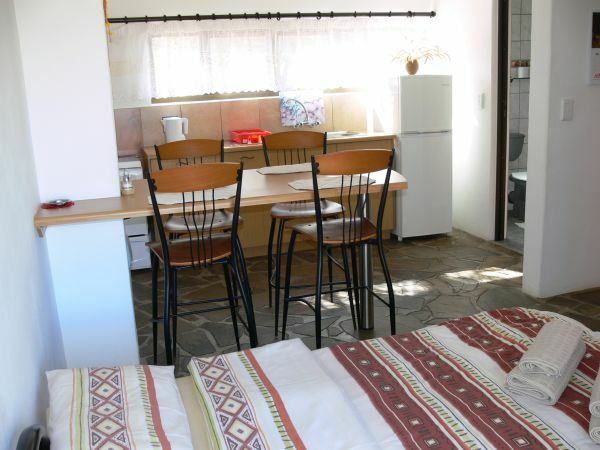 All overnight guests may make use of the barbeque (braai) facilities in the camping grounds. 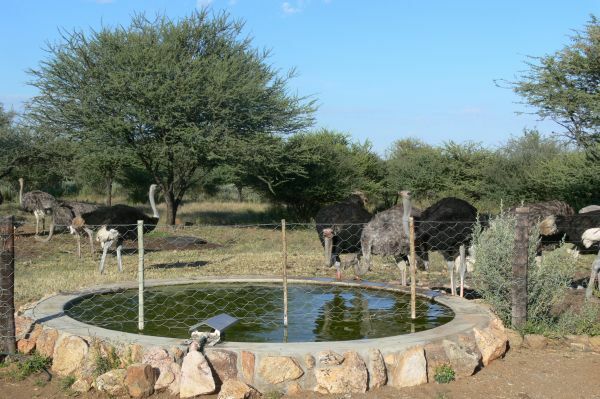 From the bungalows you will be able to view our springbuck, waterbuck, ostriches, giraffes and warthogs at the waterhole against the backdrop of a beautiful sunset. 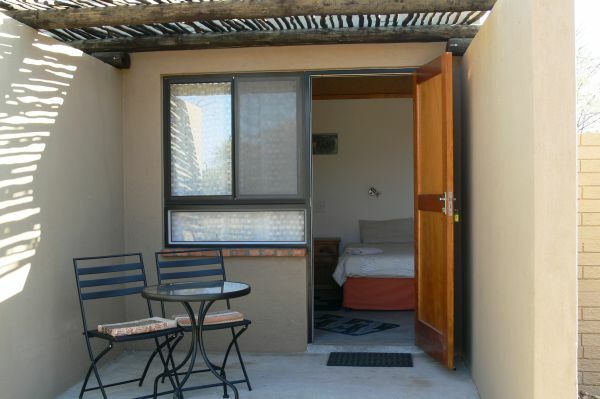 For those staying longer than a day a daily laundry is available. 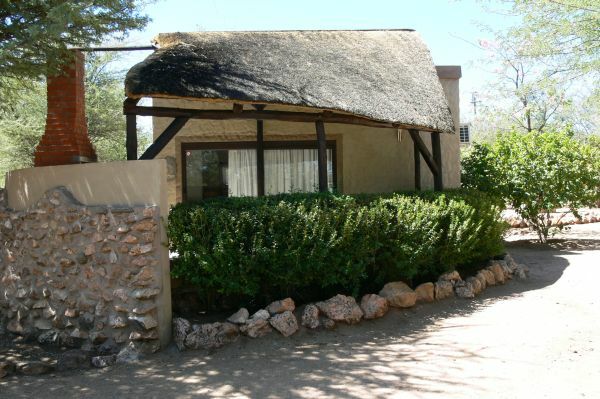 Our farm stall provides barbeque packs, firewood, ice and soft drinks. 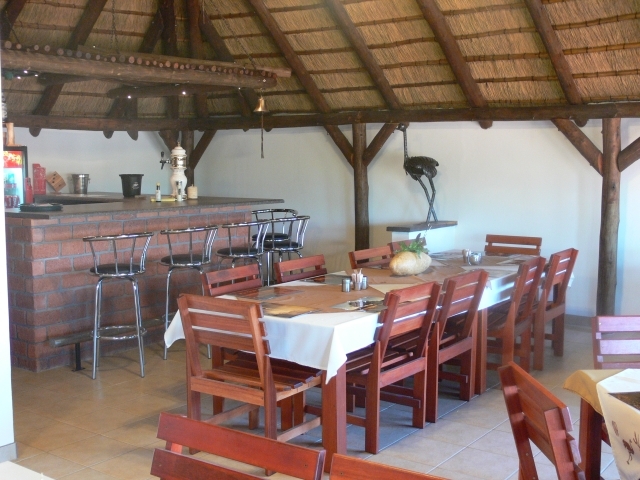 Also homemade products like biltong, droëwors, smoked meat, honey, jams and a variety of juices. 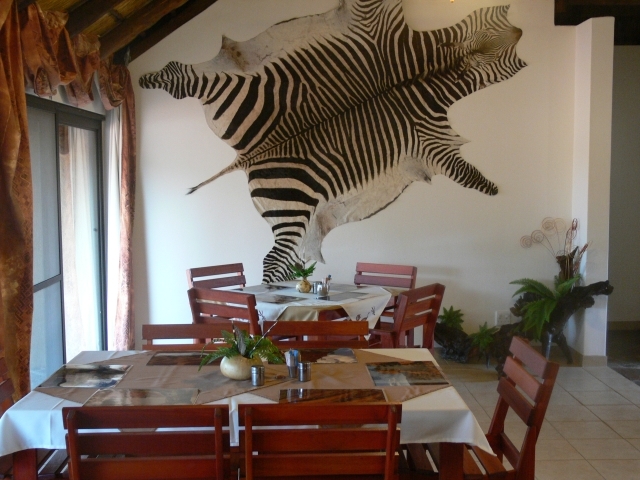 We also have a souvenir shop where you can purchase a reminder of your visit to us and our beautiful country. 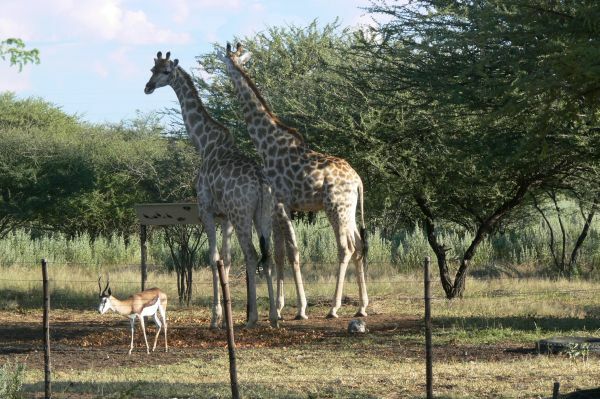 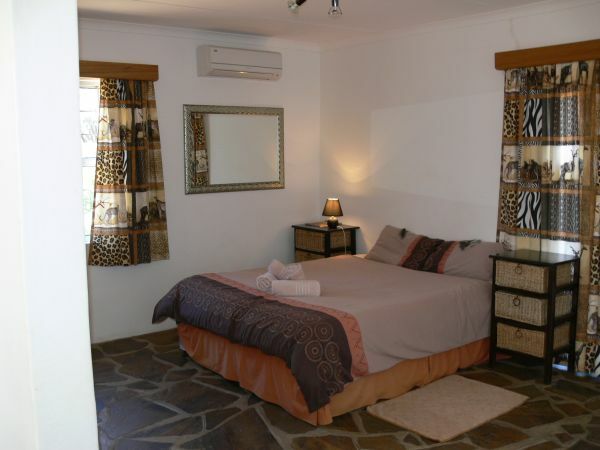 Facilities also include a camping and caravan site with warm showers, power points and a big comfortable relaxing braai area with shade and grass. 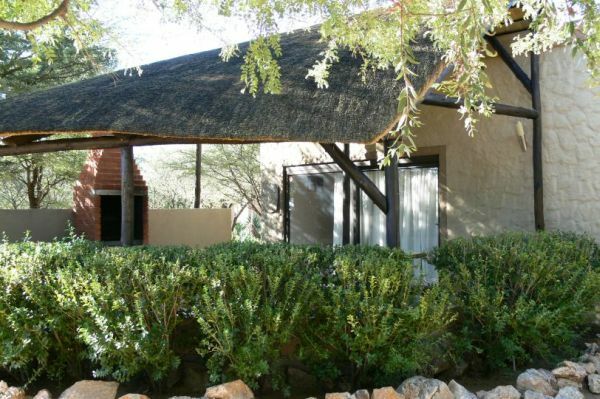 Overnight guests are more than welcome to cool off in our swimming pool.